Your little guy will be the talk of the event when he arrives wearing this adorable Easter egg Bow Tie and boys suspenders! This set is perfect for an Easter or church outfit, cake smash outfit, 1st birthday outfit, family photoshoot or other special occasion. 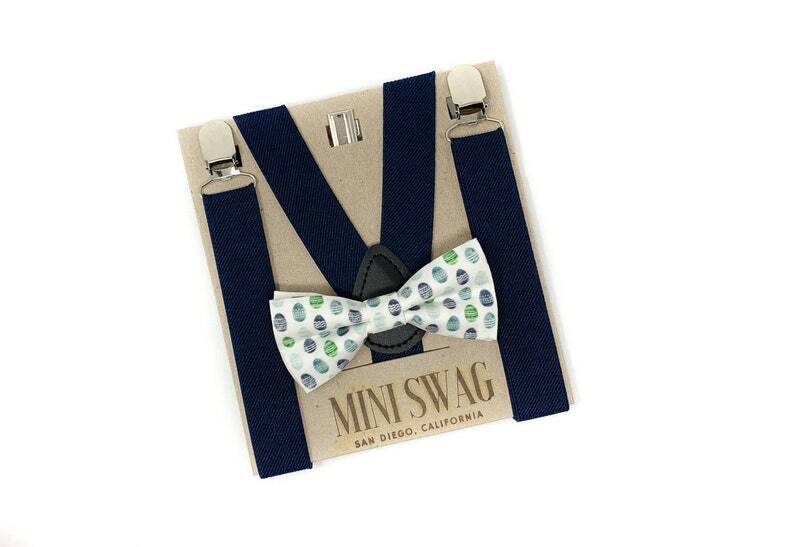 The 100% cotton bow tie features adorable watercolor Easter eggs in shades of blue and green. The bow tie comes in 2 attachment options- on an alligator clip (best for squirmy little guys who aren't patient while dressing) or on an adjustable elastic band (better for older children).